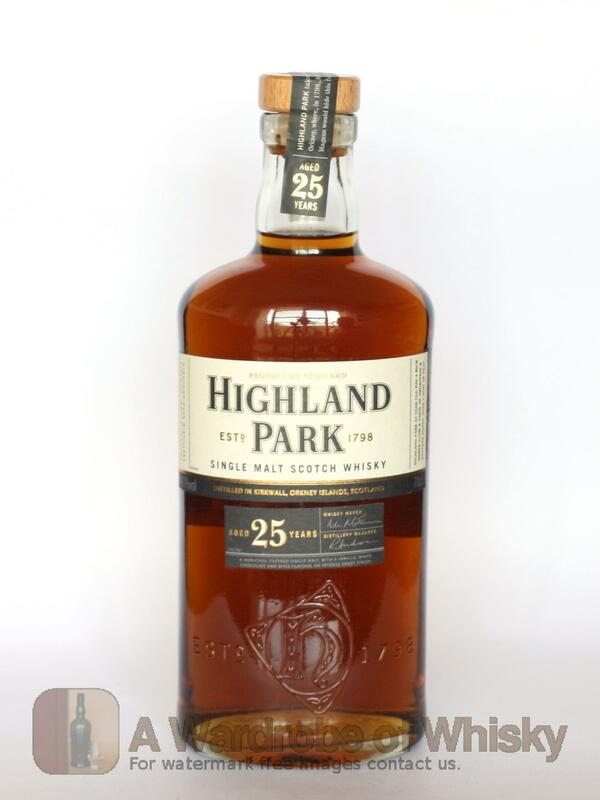 Highland Park 25yo is a terrifically complex, rich, woody, sherried dram. 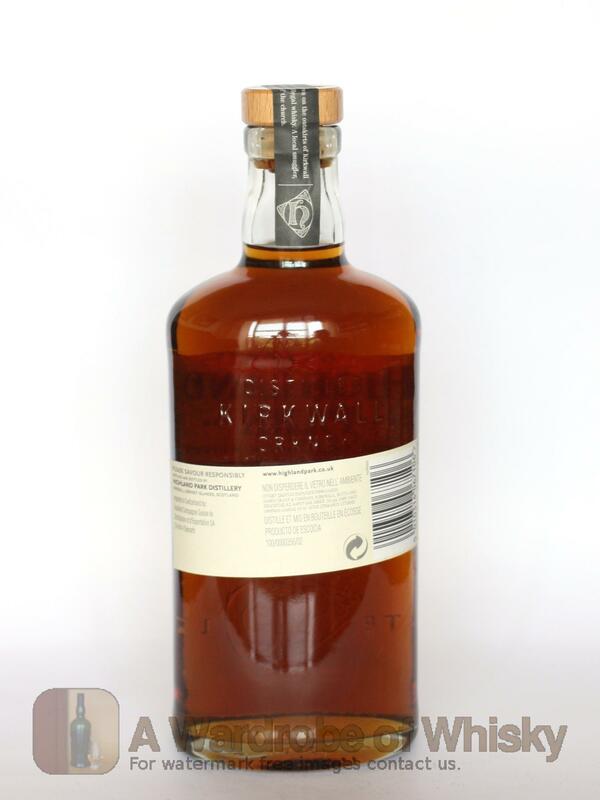 Distilled at the remote island of Orkney on the north of Scotland in the Highland Park distillery. One of the last that still does in-site malting. It seems as if this release will be the last at cask strength as the company is running low on stocks, so don't tarry too long if you want one of these great single malt whiskies. Nose (93): more than average. honey, wood, fruits, plums, smoke, floral, spices, pepper, a little cinnamon. Taste (92): smooth, powerful. honey, wood, spices, pepper, leather, nuts, cocoa. Impressive sherry character. Finish (93): longer than average. honey, nuts, spices. 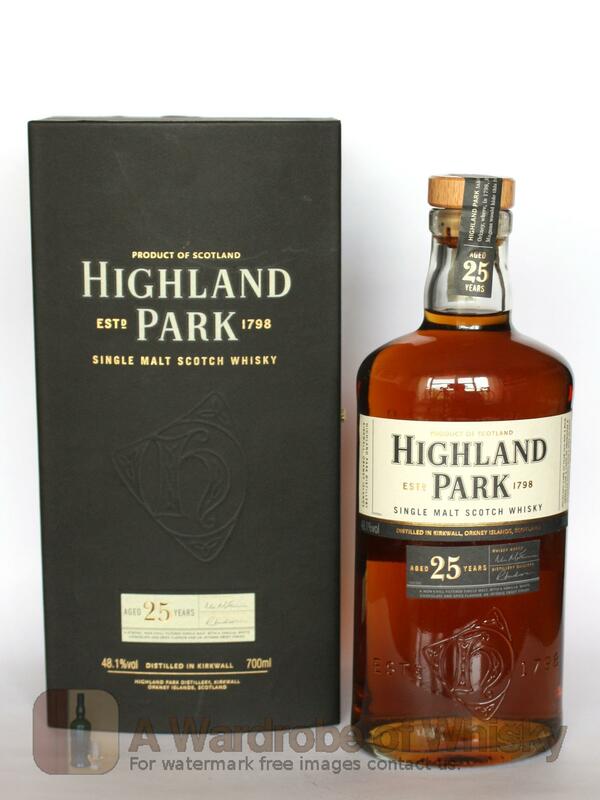 These bottles have been chosen over others because their nose, taste and finish are more similar to Highland Park 25 year than the rest. Go to Whisky-o-matic page to fine tuning other settings.